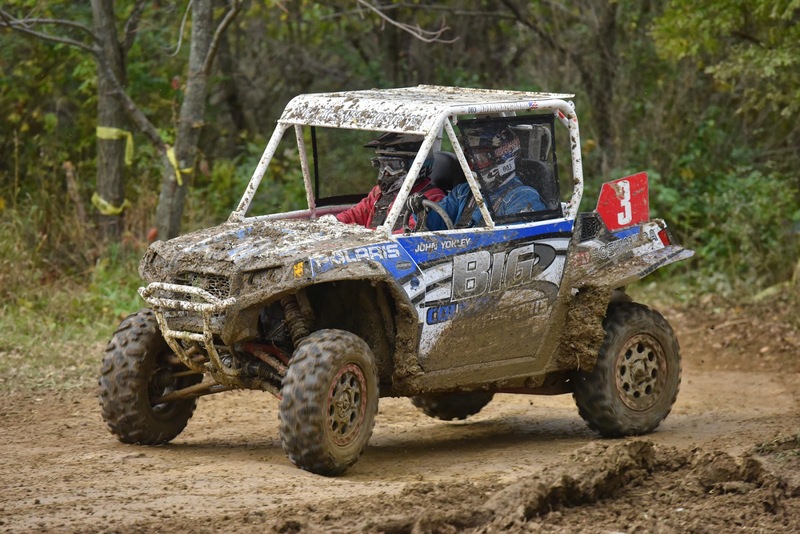 ST. CLAIRSVILLE, Ohio (October 7, 2014) – Team Big Country Powersports made a jump in the AMSOIL GNCC Side-by-Side championship standings on Saturday after capturing a second place finish in the XC1 Modified class at St. Clairsville, Ohio’s Powerline Park GNCC. Starting from the front row, Team Big Country Powersports driver John Yokley got a great jump aboard the Polaris RZR 900, where he and passenger Jarrod McClure went into the woods second behind Scott Kiger and the Polaris Coastal Racing team. Yokley made a pass on Kiger to take over the physical lead just before the opening lap was complete. Yokley charged the open trail ahead, maintaining the first place position until lap three, when he began battling with Chaney Racing for the lead. Yokley stuck close behind the Chaney Racing team throughout the entire race but just wasn’t able to make a move back into the lead position. Finishing just six seconds off the leader, Big Country Powersports came away with second overall for the day. 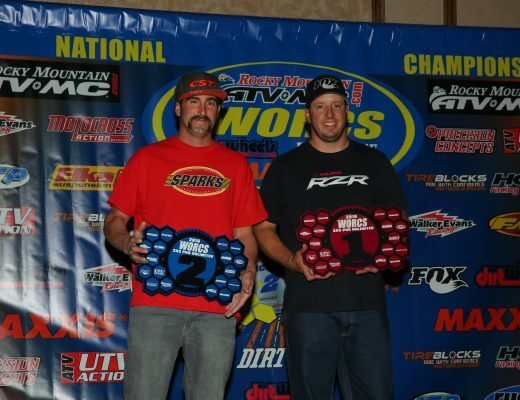 Yokley’s podium performance at round five boosted the Big Country Powersports team into second place in the championship standings with one round remaining in the series. The GNCC Series broadcast Saturday’s Side-by-Side race live in its entirety on the Internet. The archived show can be viewed on RacerTV.com or by clicking HERE. The GNCC Side-by-Side Series will resume on October 25 with the Ironman GNCC in Crawfordsville, Indiana. For a complete listing of results and point standings, visit www.gnccracing.com.